If your after a quick and easy to erect lightweight porch awning which is still able to be completely closed up consider the advantages of the very modern Magnum 390. 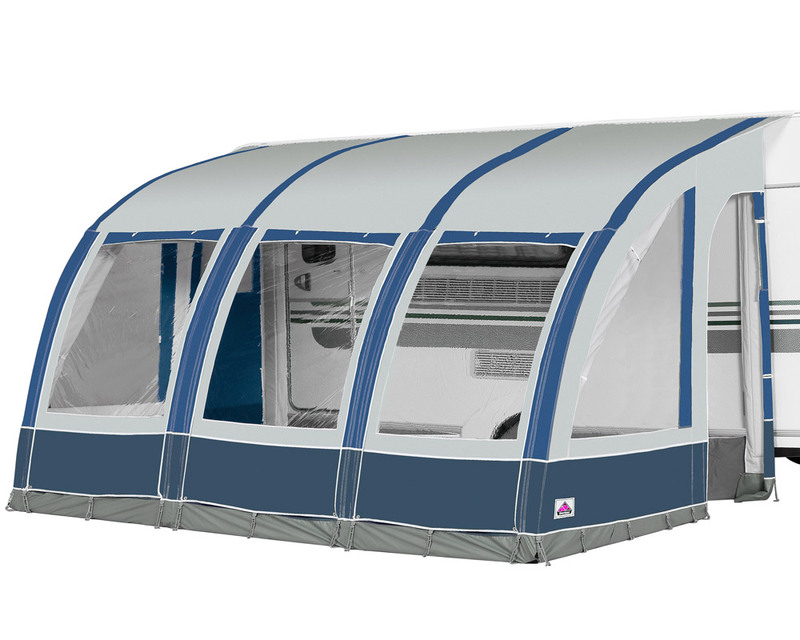 Being larger than the Magnum 260 yet still a quick and easy to erect lightweight porch awning the very modern Magnum 390 is a 3.9 metre long awning that can be completely closed up for security or adverse weather conditions. The Magnum is manufactured in high quality extra strong polyester Weathertex 4000 which is PU coated for additional weather protection, this superior material has been developed to give maximum performance in all conditions. 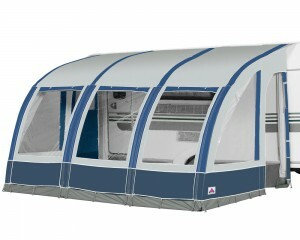 The inflatable tube system is of high quality and enables the Magnum to be erected in minutes and remains stable in poor weather conditions, the awning when packed up is an incredibly light 19kg which makes for easy storage and will not add to your weight problems when traveling. Available in two smart colour combinations: blue/grey and charcoal/grey. 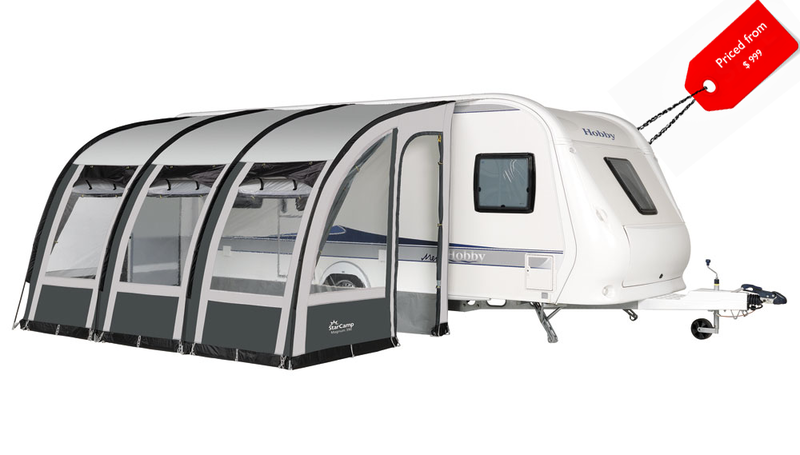 Designed to fit caravans from 235-255 cm in height, the Magnum 390 will match easily to most caravans. A length of 390cm and a depth of 240 cm gives you much more room than a 260 which means if you are intending using the inner tent option it really does give more useable space. Both side doors are fitted with flyscreens and the 3 front windows have ventilation panels fitted to the top which can be closed in bad weather. 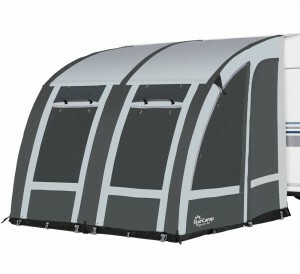 All 3 front panels can also be rolled up or poled out as extra shade. 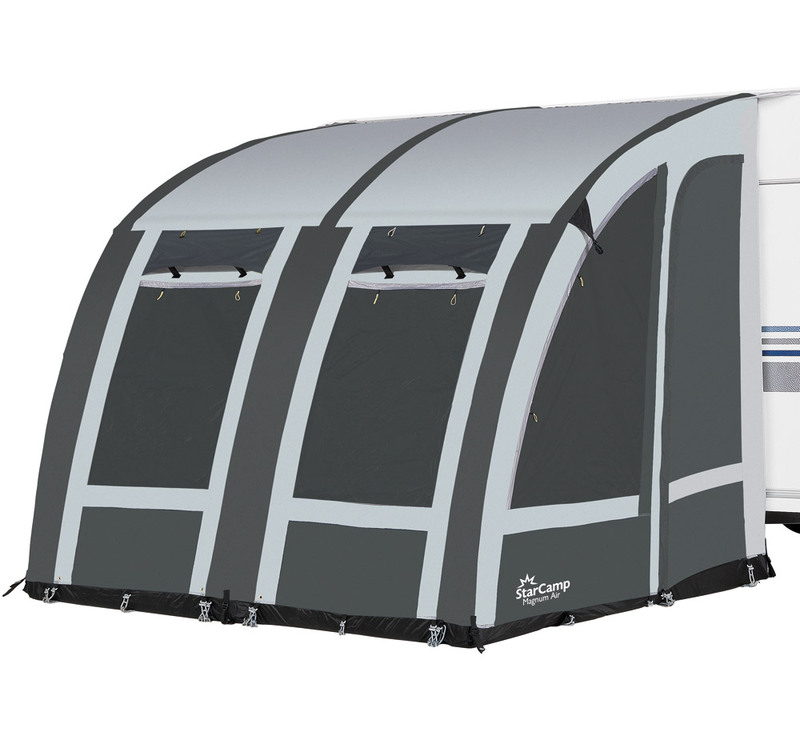 The Magnum 390 Air is supplied with rear legs and sewn in cushion pads to create a perfect seal between the caravan side and the awning. 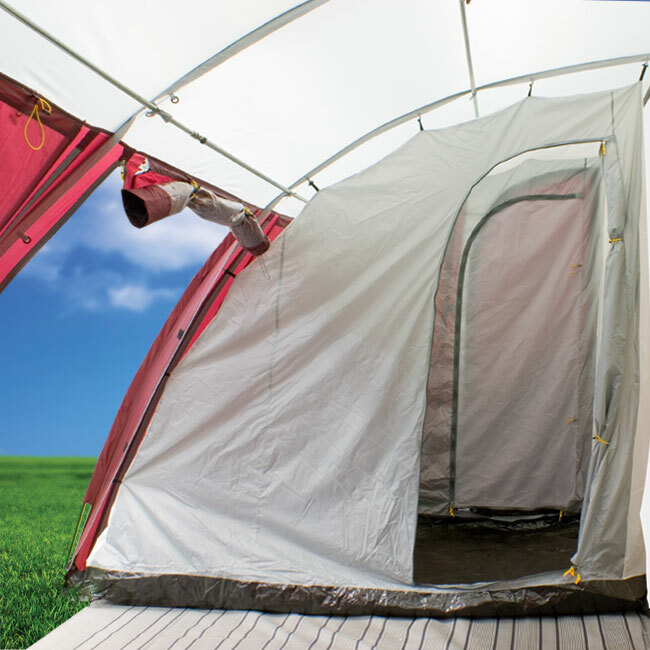 An inner tent can be ordered as an option which although taking up a little of the awning is a fantastic option and gives use of a private bedroom or storage area.